"(Christ Jesus) Whom God hath set forth to be a propitiation through faith in his blood, to declare his righteousness for the remission of sins that are past, through the forbearance of God"
This is the passage that Luther was struggling with in yesterday's post and begins with Paul's statement "Now a righteousness from God, apart from law, has been made known... This righteousness from God comes through faith in Jesus Christ to all who believe". We saw that this righteousness "apart from law" was about God setting things right when we trust in him to work for us and in us. It involves a fundamental change in how we understand righteousness and justice, not as performance, but "apart from law" as something God does for sinners. But how does that work? All are "justified freely by his grace through the redemption that came by Christ Jesus" but how did it come? In the next verse (3:25) Paul says it was through the cross. And here we find that word (at least in King James) "propitiation". Secondly, since it is God who makes the propitiation this amounts to "God paying God". You cannot propitiate yourself any more than you can steal from yourself or bribe yourself. What it amounts to is a word being stretched beyond the breaking point until it no longer fits. Propitiation is a concept that comes from a pagan understanding of the sacrifices where the sacrifice purchased the gods favor and humor. That is not the case here since it is God who makes the offering of himself. So how did the word "propitiation" get into Romans 3:25? The original Greek word is hilasterion. Hilasterion is the Greek rendering of the Hebrew kapporeth which refers to the Mercy Seat of the Arc. Luther in his translation of the Bible renders Hilasterion as "Gnadenstuhl" which is German for Mercy Seat. In context this means that "God has set forth Jesus as the mercy seat (the place where atonement and expiation happen) through faith in his blood". Jesus is thus "the place where we find mercy". Many new translations render Hislateron for this reason as "expiate" because the Temple Sacrifices to not have an element of appeasing of wrath in them and thus this seems to be a more fitting translation if it refers to the Mercy Seat in the Temple. Expiation literally means "to make pious" (similar to sanctify) and implies either the removal or cleansing of sin. The idea of propitiation includes that of expiation as its means. We are "made favorable" (propitiation) when our sin is removed (expiation). The problem is not that God is unwilling or unloving (propitiation), but that our sin causes a real break in relationship. As with any relationship, that break must be mended. This is what expiation refers to. Expiation is about cleaning or removing of sin and has no reference to quenching God's righteous anger. The difference is that the object of expiation is sin, not God. Grammatically, one propitiates a person, and one expiates a problem. You cannot expiate (remove) a person or God, nor can one propitiate (make favorable) sin. Christ's death was therefore both an expiation and a propitiation. By expiating (removing the problem of) sin God was made propitious (favorable) to us. Again not because God then suddenly loved us, but because the break in the relationship was mended. Theologians stress the idea of propitiation because it specifically addresses the aspect of the atonement dealing with God's wrath. Leon Morris for instance argued for the translation of "propitiation" in Romans 3:25 because he said the thrust of Paul in Romans up til then had been on God's wrath. This is true. However the way that that wrath was dealt with was not though the anger of God being pacified through a gift (propitiation) but rather though God actually solving the problem by removing our sin as a doctor remove3s a cancer (expiation) thus making us "right". Given then that virtually no proponent of Penal Substitution uses the word propitiation (or appeasement) as it is actually defined in English, it seems a bad word to use that leads to a false understanding of God as one who demands to be paid before he will love us rather than a God who pays what he does not owe because he loves us so much and gives his own life for us. God is not "made favorable" to us through a gift, rather God makes us favorable by giving his life. Thanks for the quick turn around. Ok, a lot to comment on here. "The immediate difficulty with such as idea is that God does not need to be "made favorable" since he is the initiator of reconciliation." I think I catch what you mean here, however, I don't think you should say "God does not need to be made favorable" since this assumes God has no wrath. "It is vital to note that virtually no major proponent of Penal Substitution sees the cross as God's favor being purchased through sacrifice (which is what propitiation means) since this represents a pagan idea of sacrifice." Propitiation does not mean to purchase favor through a sacrifice. It means to satisfy wrath. If you affirm the reality of God's wrath on unbelievers, your system has a similiar "difficulty" -- that is, God's favor is being displayed while his wrath is being displayed. The only way to solve the tension is either to jetison wrath, or to agree that God does display his grace to those with whom he is angry. I would agree with Murray, "This propitiation is the fruit of the divine love that provided it" (Redemption, 32). "Secondly, since it is God who makes the propitiation this amounts to 'God paying God'." Though the matter is more complex than this (there is an outside referent which satisfies God's wrath and there is more than one personality involved) there is a general sense in which you are correct. God does supply that which will ultimately satisfy himself -- and why not? "You cannot propitiate yourself any more than you can steal from yourself or bribe yourself." "We are 'made favorable' (propitiation) when our sin is removed (expiation). The problem is not that God is unwilling or unloving (propitiation), but that our sin causes a real break in relationship . . ."
I think this paragraph is a bit confused. You seem to want to deny that the atonement had an effect on the wrath of God on the one hand ("We are "made favorable" [propitiation] when our sin is removed [expiation]. . . the problem is not that God is unwilling or unloving [propitiation], but that our sin causes a real break in relationship"), but affirm it on the other (Christ's death was therefore both an expiation and a propitiation . . . by expiating [removing the problem of] sin God was made propitious [favorable] to us). The problem is the same; if God's wrath rests on unbelievers, and the atonement changes my relation to God from wrath to favor, then a propitiation has taken place (again since the word doesn't mean to "purchase favor" but to "remove wrath"). 1. Do you believe the wrath of God is upon unbelievers prior to their salvation? I assume from several statements that you do. 2. If so, do you believe that God's wrath comes upon unbelievers because they have violated his law? 3. If so, what is the penalty for those who break God's law and are under his wrath? Thanks for the quick turn around. I've enjoyed the interaction so far. Very stimulating! I posted this below, but didn't know if you would see it. It is to a lecture by J. I. Packer -- footnote 33 deals with Luther's themes of Penal Substitution. He is much more capable than I am to explain this element in Luther. I don't think we can divide expiation and propitiation and play them off against each other. I think this would be a false dichotomy. Expiation is the means of propitiation. Just so you know where I am coming from. Sorry about the 3 different posts. I don't think you should say "God does not need to be made favorable" since this assumes God has no wrath. I don't think it assumes this. God has wrath, but God loves his enemies and initiates reconciliation. Propitiation does not mean to purchase favor through a sacrifice. It means to satisfy wrath. And how is that wrath "satisfied"? According to Anselm it is by a gift that "makes up for" the wrong. It's the whole idea of penance to "buy" your way out of wrath. that is the model of Anselmian satisfaction. "If you affirm the reality of God's wrath on unbelievers, your system has a similiar "difficulty" -- that is, God's favor is being displayed while his wrath is being displayed. The only way to solve the tension is either to jetison wrath, or to agree that God does display his grace to those with whom he is angry"
God loves his enemies. The model I'm working with is the simple one of forgiveness. Forgiveness, as anyone know who has had to forgive a deep hurt, has a real and painful cost to the one who is forgiving. What I find significant in Luther is the idea that not only is wrath "dealt with" it is also judged and overcome. God "dies to himself". That I think is the picture of forgiveness I mentioned above. "You seem to want to deny that the atonement had an effect on the wrath of God on the one hand"
I am simply saying that God is not the one with the problem that is blocking relationship, we are. "Do you believe the wrath of God is upon unbelievers prior to their salvation? I assume from several statements that you do"
I do. But I think wrath is bad word since it too easily connotes human anger which is fleshly and selfish. "If so, do you believe that God's wrath comes upon unbelievers because they have violated his law?" yes. I would add that people suffer the consequence of sin and separation through no fault of their own as well, through injustice, abuse, poverty, etc. "If so, what is the penalty for those who break God's law and are under his wrath?" Death and slavery. But as a consequence based on the way life works and who we are as human beings, not as an arbitrary punishment outwardly imposed. Ok. Even with your caveats I am having a hard time seeing how you avoid traditional propitiation and penal substitution. Here you agree that God's wrath is upon those breaking the law. You agree that death is the penalty for breaking the law and stirring God's wrath/anger. You agree that, for those who believe, Christ bears this wrath [post on the other thread]. Yet you don't believe this wrath comes upon Christ, our substitute, because we broke the law? And though Christ bears the wrath of God, God is not "satisfied" in the death of Christ? 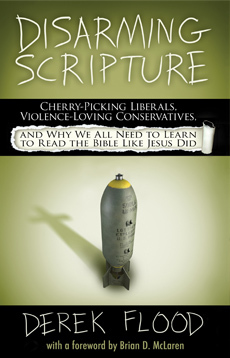 "Yet you don't believe this wrath comes upon Christ, our substitute, because we broke the law?" I could agree with that too. God in Christ entered into humanity, and part of that was entering into our lostness. "And though Christ bears the wrath of God, God is not "satisfied" in the death of Christ?" Satisfaction is not a biblical word. It does not mean simply "God thought it was satisfactory". It specifically refers to the legal idea of buying our way out of retribution. Think of it this way: I can affirm all sorts of things you would, and hold to a high view of Scripture, and still have a different take on the cross to Penal Substitution. Or to state it differently, I don't think Penal Substitution offers the best framework to understand all the things we mutually agree on, and in fact think it ultimately trivializes sin and dishonors God. "Satisfaction is not a biblical word. It does not mean simply "God thought it was satisfactory". It specifically refers to the legal idea of buying our way out of retribution." I think you are mixing metaphors here -- "buying out" is not the same as propitiation. A purchase would relate to the theme of redemption. In propitiation "satisfaction" refers to the fact that Jesus' death effects a change in God's disposition toward those to whom the atonement is applied. As to it dishonoring God, if the Scripture doesn't teach it, then it truly does dishonor God. Though, if the scriptures do teach it, then it would be dishonoring to deny it. To that I am sure we can both agree -- hence our discussion of the text! Thanks for sticking with me here. I think we to determine the definition of "wrath of God". Is it fire and violence residing in God or is it something that resides in humanity. What does the "wrath" consist of? "Sin is its own punishment. Unless its course is arrested by the Law or conversion, all sin eventually leads to misery and alienation and eventually to the eternal paralysis so incomparably depicted by Dante. Sin doesn’t need a shove from God in order to become punishment. All it needs is time. God’s wrath is to give it all the time in the world. God in his wrath delivers the sinner over to the full consequences of his sinfulness. But where does the Cross fit into this? God’s Wrath is to let sin run its full course by removing the ruse (sacralized violence and ritual sacrifice) by which fallen humanity turns sin into righteous rectitude and the false and pharisaical forms of psychological poise born of the social consensus that scapegoating episodes generate. Wrath is the toll sin takes on the sinner when he cannot foist the wages of sin onto another’s shoulders." I think the sheer mental gymnastics it takes to regard "wrath" as something that we posses (sin), rather than God possessing, is evidence that the answer is simpler. Throughout the whole of scripture it is clear that wrath is God's hatred/anger toward sin and sinners. If this is not the case, what else do the psalms mean when, over 51 times God is said to hate the sinner/unrighteous? Furthermore, in Romans 1:18 God's wrath is revealed apo heaven epi wickedness and unrighteousness. Not dia wickedness and unrighteousness. This is consistent with the pattern in the OT where God's wrath comes "upon" the ungodly not "through" them. God did was not passive in his response to Sodom. Even worse, this notion effectively emasculates all of the statements regarding final judgment in scripture. I read your conversation with Luther's Stein on Ben Meyer's blog, and followed here to your blog. I have to confess, I'm a little confused right now, but I'm trying to figure out exactly where you're coming from. Would you consider the following a fair description of your theology of the atonement? Christ was a substitutionary atonement for us, vicariously bearing the pain and penalty for our sins. However, that pain and penalty are not the result of God's active wrath against sin; neither are the they consequence of transgression of the law. Hence, Christ did not placate God's wrath, nor satisfy the law's demands -- rather, he willingly entered into the pain which was a natural consequence of our sin, and he overcame that sin and its consequences, thereby removing the obstacle (which was entirely on our side) towards a propitious relationship with God. If I have understood you correctly, and this describes your basic theology, then I have some questions. But before I ask them, I want to make sure I'm understanding you correctly. Found this over at the Girardian Lectionary. Raymund Schwager does a good job of refuting the whole 2 Corinthians 5:21 supports penal substitutionary atonement thing. Taking into account the outcome so far, we can now turn to 2 Corinthians 5:21: "[God] has made the one who knew no sin to become sin for us, so that we might become the righteousness of God in him." As we interpret this text, the final decision must be made as to how Paul's view of the judgment on sin is to be understood and whether one may and ought to speak of an angry and destructive direct action of God toward the crucified one. Certainly, it is hardly to be supposed that Paul is here directed by completely different concepts than in Romans 1:18-32 and Romans 8:3. But the question must once again be looked at afresh, and the essential point is whether the utterance "he has . . . made to become sin" is to be interpreted as an exclusive activity of God or whether it means that God sent the one pure of sin into that event in which he was made to be sin by sinners. This latter interpretation is suggested by the Old Testament background. But can this be confirmed from the context? Just as 2 Corinthians 5:21 says that Christ was made into sin, so Galatians 3:13 says that he became for us a curse (katara). Both utterances entirely match up in subject matter. However, in Galatians 3:13, Paul additionally indicates in what way this happened, namely, through the law. All who live according to the law stand under its curse if they do not keep all its prescriptions (Gal. 3:10). It further declares each one accursed who -- like the crucified one -- hangs on a tree (Gal. 3:13). Galatians serves as an important complement to 2 Corinthians 5:21, and the question of how Christ was made into sin and a curse must be seen and decided from this viewpoint in conjunction with the problematic of the law, so we must also briefly go into this subject. The letter to the Romans presents the relationship between law and sin as a complex interaction. The law is of itself "holy, just and good," and it is supposed to "lead to life" (Rom. 7:10, 12). Nevertheless, its effect in fact is the opposite, and it brings death (Rom. 7:10). This contradiction can be clarified as sin taking possession of the law and perverting its sense. Sin is so powerful that it can make use of what is good: "Did something good become death to me? By no means! But sin was bringing about my death through what is good so that it might be revealed as sin. For it was through the commandment that sin showed itself in its full measure as sin" (Rom. 7:13). If the law, which in itself is good, actually leads to death, then it follows that the law itself is not the real initiator of the event, and still less is it God, from whom it comes. What really takes action is sin, which shows its excess in knowing how to use even the good as its means and as its cover. If now even Christ became a curse through the law, then it was not the law itself and still less God who was the actor responsible. Within the Pauline world of ideas, the utterance of Galatians 3:13 can only mean that Christ became a curse through the power of sin, which made use of the law. With this insight the decision about the interpretation of 2 Corinthians 5:21 should be resolved. God was not the direct actor, but he sent his Son into the world ruled by sin, and thus, through the excess of sin making use of the law, he became sin and a curse. But who were the immediate actors in this event? Paul's understanding of the law was conditioned by his own experience. Since he himself, in his zeal for the law, persecuted Jesus' disciples and at his conversion on the way to Damascus had to acknowledge the error of his ways, he remained throughout the course of his life constantly confronted by the fact that in his zeal for the good law he had done evil. But he could not estimate from his own experience the consequences of this fact, for that experience prevented him from developing a fundamental position toward the law. If nevertheless the apostle came to make statements concerning the law as such, he can only have drawn them where he found his new confidence in faith: in Christ. In the light of his own experience he was able to understand more deeply the fate of the crucified and exalted one. As he himself had persecuted Jesus' disciples, so had his brothers in faith already in the name of the law condemned as a blasphemer and driven out the preacher from Galilee, who at his trial made the claim to be the Messiah and Son of Man (1 Thess. 2:15). But since this claim, as his own experience on the road to Damascus confirmed, was authenticated by God, the consequence must have pressed itself on Paul that the law had totally failed not only in his life but also at the most decisive moment, namely, in the encounter with the Son of God. It had not led people to a full knowledge of the will of God, i.e., of the Son, but on the contrary it contributed to his rejection and condemnation. "What really takes action is sin, which shows its excess in knowing how to use even the good as its means and as its cover. If now even Christ became a curse through the law, then it was not the law itself and still less God who was the actor responsible." Three problems here: 1) God and the law are viewed as active in the Scripture, and God, specifically in 2 Cor. 5 . . . "he made him"
2) Gal. 3:13 is hardly admissable here since the two circumstances are too dissimilar -- we are cursed by law because of what we possess, Original Sin; yet Christ is cursed by the law, not because of something he possessed. It would be illegitimate to conclude then that we recieve "the curse" in the same way -- and I think, given the rest of the data in Scripture, we will find that this is indeed not the case. "Christ became a curse" does not speak to the manner in which he became a curse. I would admit that Gal 3 does not teach that God made Christ a curse -- though I think we might conclude this from data elsewhere [Incidently, if we are to speak on the manner in which Christ became a curse, I think 2 Cor. 5 speaks mored directly to this since "God made him . . ." demonstrates the Father's activity in the Son assuming guilt -- from my perspective]. What Gal 3 does teach is that the law cannot be considered entirely passive, nor can we consider God entirely passive in the matter of cursing sin [I think the interplay between vv. 10-11 would yield this given the time to discuss it since the law is negatively active in v. 10, and God is positively active in v. 11 to "declare righteous;" it is implied in the context that these are dipolar correlative actions -- thus God's curse is the law's curse, whereas God's declaration of innocence -- "justify" -- is the law's declaration of innocence]. Especially since this text is a direct allusion to Deut. and Is. 53, the latter of the two which calls Christ "smitten by God" because it "pleased the Lord" to bruise him. 3) The language of 2 Cor 3 is constitutive and is reminiscent of justification language which, especially for Paul, implies constitution/imputation. Thus, the language is not merely paticipatory ("Christ experienced the wrath of sin") but constitutive ("Christ became sin"). This is the case in v. 9 where "all died" because Christ died. It isn't simply participation, but complete identity with Christ's death. I think the larger problem here is that the orientation of Paul's entire soteriology buzzes around the law by virtue of the "justify" word group, and so it is hard to escape the notion that "to be declared righteous" means escape from the righteous penalty of the law which God requires of sinners. Shark, where did you go? Thanks for joining in Eschaton -- I do love the name. Something quick here...In Isaiah 53 Yahweh is the Son of God. Jesus was Yahweh. Jesus was the Lord. The Lord was Yahweh. So Isaiah 53 cannot support PSA. Yahweh cannot place sin on himself. In rough form the ancient atonement ritual consisted of the High Priest collecting and absorbing the sins/sicknesses/etc. of the people. This is what Jesus was doing with all the miracles/healings. You can't understand atonement separate from the final, 10th Jubilee. The renewing of the eternal covenant. From Girard we understand that collective murder is the foundation of society, that it cannot renew society and restore peace. So the High Priest after absorbing the sin/having it place on him by the people, will transfer it to the goat that was Azazel. There are two goats, Jesus was both goats. The Azazel goat, like Jesus was led out of town and killed. The other goat that was the Lord, the goat was a substitute for the High Priest was killed and the blood was brought into the Holy of Holies. The Holy Holies was heaven. The blood was sprinkled around on the mercy seat. In the Holy of Holies the High Priest is resurrected and takes the name of YWHW. Yahweh emerges from the temple sprinkling the blood, repairing creation. The temple was/represented creation. There is very complex symbolism re the temple. "Let his blood be upon us" is referring to the atonement ritual, the people are asking to healed by his blood. After studying Temple symbolism it's hard to understand where exactly God the Father is placing sin on Yahweh the Son. Yahweh takes the sin from the people, through healings or the pain the people inflict on him. The above probably isn't very clear and definitely lacks academic rigour, but I just tried to make a beginning. "Shark, where did you go?" To Tahoe for a long weekend. I hadn't been there since I was a little kid. Wow is it beautiful! Anyhoo, I'm back now and will be back in the frey, full swing tomorrow. "Hence, Christ did not placate God's wrath, nor satisfy the law's demands..."
It really depends on what you mean by the terms. Does “placate God's wrath” mean “mollify God”? Or does it mean “remove the problem that God was rightly angry about by God's initiative and action motivated by God's love for sinners”. The first I would disagree with (as would most people in support of PS) the second I would agree with, but then think that the word “placate” is completely inappropriate. Same thing with “satisfy the demands of law”. If you mean this in the Anselmian sense, then I think the idea of law that Anselm puts forth is completely unbiblical and wicked. God is not a feudal nobleman. However if you mean by law “the way the inverse works inscribed on our hearts” and by “satisfaction” mean that Jesus set things right in that law that had been broken, then I would agree. I hope that helps towards clarifying where I am coming from. I do make a distinction between Penal Substitution and Vicarious Suffering. I'll post about that tomorrow. “...rather he willingly entered into the pain which was a natural consequence of our sin, and he overcame that sin and its consequences, thereby removing the obstacle (which was entirely on our side) towards a propitious relationship with God." Thanks for hanging in there Luther, I appreciate the conversation. It seems to me that you are using the word “satisfaction” simply to mean “satisfactory, or adequate” (the current street usage in English). Satisfaction is a technical term that comes from Anselm. In that context, and in the context of propitiation it means “to pay a compensation for a loss or injury in lieu of punishment”. If satisfaction cannot be paid, then punishment is meted out. This was the system employed in the time of Anselm which his Atonement theory was based on. If you offended a nobleman's honor you could either pay him a satisfaction or suffer punishment. That's Anselmian Satisfaction. Penal Substitution which was developed later took out the Anselmian idea of satisfaction as compensation in lieu of punishment, and claimed that the punishment itself was what “satisfied”. So in that sense “satisfaction” would mean that God's anger is "satisfied" by inflicting pain on the one who has hurt him. So when I say that “God is not satisfied in the death of Christ?" I do not mean that God is not “well pleased” in Christ's sacrifice. I mean that Christ's sacrifice did not have the purpose of satisfying God's need for revenge or “pay back justice”. I think the idea of God demanding pain or payment before he will forgive is unbiblical. Thanks for the response. I'm about to leave for work, and I'll be gone all day, but I wanted to ask a question before I leave. "I mean that Christ's sacrifice did not have the purpose of satisfying God's need for revenge or “pay back justice”. I think the idea of God demanding pain or payment before he will forgive is unbiblical." Apparently, it would have been unjust of God to forgive, if Christ had not shed his blood to propitiate the Father. Which means that Christ's death, was, in a sense, at the demands of justice. There's more to be said, but I'm about to be late for work. Thanks again for taking the time to carry on this dialogue. "God presented him as a sacrifice of atonement, through faith in his blood. He did this to demonstrate his justice, because in his forbearance he had left the sins committed beforehand unpunished — he did it to demonstrate his justice at the present time, so as to be just and the one who justifies those who have faith in Jesus". "God presented him as the one who would turn aside his wrath, taking away sin, through faith in his blood"
Here we have the concept of "Turning aside wrath" that Luther's Stein has referred to which, regardless of how we want to translate Hilasteron, the problem of wrath has been a theme that Paul has been developing since Chapter 1 of Romans and alludes to here when he says God "had left the sins committed beforehand unpunished". So it seems clear that this passage is dealing with how God provides a way for us to not be punished for our sins (turning aside wrath) through the blood of Jesus on the cross which would demonstrate Gpd's justice and righteousness. The question is how that takes place. You say "Apparently, it would have been unjust of God to forgive, if Christ had not shed his blood to propitiate the Father". I disagree with this. God initiated the sacrifice. Paul tells us God first loved us while we were his enemies. God did not need to be "made favorable" since God already loves his enemies, rather the problem of sin needed to really be dealt with and solved/healed in us. I maintain that propitiation ("making favorable") is a bad translation, and that wrath is "turned aside" by the means of expiation (removing/healing sin). Forgiveness is not about ignoring sin, it is about moving towards reconciliation and repair of a broken relationship. Forgiveness does not require payment or pain from the other. That is the opposite of forgiveness. But forgiveness does have a cost to the one who forgives. It cost God to forgive us. Secondly I disagree with how you are defining justice as something that would require punishment. This is the issue that Luther had that I talked about in my post " Luther's theology of the Cross - pt 1 Justification". The idea of justice as "paying evil for evil and good for good" is not the model of justice that Paul has. Paul's idea of justice is the opposite - God's justice does not justify the good, it justifies sinners. That's because justice from a Hebrew perspective is about "setting things right". When Paul speaks about God "demonstrating his jsutice" he means restorative justive (making things right) not desributive justice (paying evil for evil and good for good). "God presented [God initiates reconciliation, and he offers it] Jesus as the one who would turn aside his wrath [by the means of] taking away sin, through faith in his blood. He did this to demonstrate his justice [setting things right], because in his forbearance he had left the sins committed beforehand unpunished [punishment being the natural consequence of sin] — he did it to demonstrate his justice [so we do not suffer the natural consequence, but instead are set right] at the present time, so as to be just [righteous] and the one who justifies [sets aright] those who have faith in Jesus". Thanks for the Raymond Schwager quote. I agree with your definintion of wrath as consequence (I not sure about the "residing in humanity part). You say "Yahweh cannot place sin on himself". I disagree. 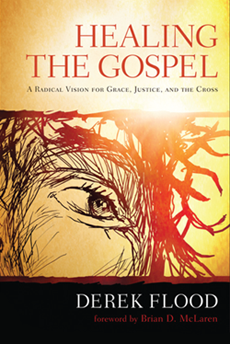 Have you read Moltmann on this? Moltmann would say that God becomes godforsaken for us. God suffers. This is not understood in PS terms of appeasment, but as solidarity with those who suffer and recapitulation - Jesus becomes what we are so we can become what he is. I think the definition of wrath I'm to trying explain is something like this. God's wrath is a handing over us to the consequence of our own sin and defective human relations. When conflict arises in human societies there is wrath/violence/etc. God in His wrath has handed us over to the cycle of violence. Now getting all Girardian on you. Previously the only thing that saved human communities during cycles of revenge/violence/war of all against all was to unite around a common enemy/scapegoat/some poor slob or truly evil person we could blame everything on. In a fit of collective violence this person/people was/were killed. After this collective expulsion peace returned to the community. The Horrible Miracle of Apollonius of Tyana is an example of violent plague being removed from a community by a collective murder. So let's see, Girard says something along the lines that the crucifixion of Jesus Christ has taken this "Satan casting out Satan" thing away from. This collective murder thing is going to work anymore, or at least it's going to ever increasingly more difficult to accomplish (the peace after a collective murder). We need this collective murder mechanism to bring about peace and prevent us from destroying all life. But Jesus now has taken the collective murder mechanism away. He has handed us over to the consequence of our sin. If we don't turn to Jesus, and walk in his way, we will utterly destroy ourselves. Now we can literally do this with nuclear weapons. So in conclusion. God's wrath is God handing us over to the consequence of our own sin. We can choose Jesus or destruction. Peace or continual violence. God's wrath is God handing us over to our choices of continual revenge and violence ending in total destruction and death. Hope that made at least a little sense. You said: "God's justice does not justify the good, it justifies sinners. That's because justice from a Hebrew perspective is about "setting things right"." I think this is a misreading of Paul. God's justice would justify the good (Gal. 3:12) were there any good to be had in man enough to keep the law (Gal 3:10). I think to read the concept of "justice" in Paul strictly in terms of "forgiveness" or "restoration" would seriously overlook other themes in Paul. I think this is incongruent with the concept that God acts in the law -- (i.e. read my response to Buck). Furthermore, this, I think, makes the concept of justice in the Old Testament completely non-sensical. Amos' "for three sins and for four" theme is retributive. The whole theology of exile as found in the Old Testament is retributive. The law, the Biblical purity laws in particular, are not supposed to set members of the community apart. The law/rituals are supposed to keep people together. So I think Paul is saying something like instead of the law keeping people together it's beings to separate and expel certain people and certain classes of people. Jesus was the High Priest, He came to inaugurate the Jubilee the great ingathering, so the Law, instead of being used to help Jesus bring people was actually used to violently expel the author of the law. The law was completely perverted by sin. Instead of being used to bring people together, it was being used to separate people and not only that it was used to work actively against the author of the Law. Thanks for your patience in explaining to me your position. A non-penal model of the atonement is an entirely new concept for me, and I’m slow in assimilating new thoughts. I think I’m beginning to understand you now, but I still disagree, because, forgetting Romans 3 for the moment, I find your position unable to come to terms with the nature of God as revealed throughout the entire gamut of scriptures. In order to clarify myself, let me formulate some biblical premises with regard, first, to the nature of God as just/wrath-bearing; and second, with regard to the nature of his immutable law as demanding satisfaction/requiring punishment. From the opening accounts of Genesis, when God deals with the first sin of man by announcing a curse, and consistently throughout later revelation, we are given a picture of a God “who is of purer eyes than to behold evil” (Habakkuk 1:13), a God who says “vengeance is mine, I will repay” (Romans 12:19), a God who does in fact pour out wrath upon the world of sinners, as, for instance, in the universal flood, the destruction of Sodom and Gomorrah, etc., a God who has the rebel nations “in derision,” who “speaks unto them in his wrath, and vexes them in his sore displeasure,” who sets up his Messiah to “crush them like a potter’s vessel” (from Psalm 2), a God before whom sinners tremble in fear, proclaiming, “the great day of his wrath has come, and who shall be able to stand” (Revelation 6:17). This is a handful of testimonies from an overwhelming supply – in short, it is impossible to read the bible objectively with finding in it a God who does in fact pour out his wrath actively, and who deals out retribution/vengeance for rebellion. Premise three: The God of the bible actively poured out retribution upon Christ in the sinner’s stead. Hence we read earlier in the chapter, “He was wounded for our transgressions, he was bruised for our iniquities,” and elsewhere, “he made him to be sin for us” (II Corinthians 5:21). So then, if God actively and willingly crushed Christ, and if he did so because of the sins which were upon him, and if he is indeed a God who deals in retribution – in fact is too pure not to deal in wrath and retribution – then any model of the atonement which does not embrace a penal aspect fails to do justice to the character of God as we find it revealed in his word. From the first law given in the garden, the breaking of which issued in a curse, as God had in fact promised, “in the day you eat of it, you will die” (Genesis 2:17); to the law given on Sinai, which threatened, “Cursed is he that does not continue in everything written in this law, to do them” (Deuteronomy 27:26); to the corroborating evidence of the New Testament, which declares, “Whoever should keep the whole law, but offend in one point, is guilty of all” (James 2:10); we find without exception that the law demands a curse, and that the exaction of this curse is contingent upon the very word and solemn promise of God, “who cannot lie” (Titus 1:2). If forgiveness should come without the retributive curse of the law being fulfilled, then God will be shown to be a liar; not to mention, one whose eyes are not in fact too pure to behold evil. As the remainder of our last text states. And it is impossible that he should have been made the curse which the law demanded by reason of himself, because he “did no sin, neither was guile found in his mouth” (I Peter 2:22), and, “he was tempted in all points, like we are, yet without sin” (Hebrews 4:15). So then, the only theory of the atonement which takes into account the necessity of the law’s curse being dealt out (a necessity grounded in the solemn promise of God), and which takes into account the fact that the curse of the law was dealt to Christ, who underwent the curse, even death, as that first threat of transgression demanded – and furthermore, who did this in our place – is a theory which accepts the idea of penal substitution. Now doubt you can quibble over the precise exegesis of certain key propitiation/substitutionary atonement texts (such as Romans 3) – but in arriving from them at a different view of the atonement, you fail to take seriously certain motifs which are unequivocal and emphatic, and which exist throughout the scope of special revelation. And these motifs, concerning as they do the very nature of the unchangeable God, are to be denied only with very serious and far-reaching consequences. Forgive me if I speak so strongly; but I can say in all honesty that I only do so because I am concerned for the effects that this theory of the atonement may have on your own soul and the souls of those who are influenced by your writings. In any case, I think that, to advance in the discussion, we must begin to deal with our conception of the very nature of God; and that we must do so by an honest assessment of all of scripture, and not by an examination of certain pivotal texts alone, as vital as they may be. You mention Galatians 3:12 where Paul contrasts the way of the law to the way of faith. In this we could say that two opposing definitions of Justice are at play: distributive justice and restorative justice. Both of these are realities and we find both in the OT and NT. You will note Paul says "Clearly no one is justified before God by the law" (Gal 3:11). The way that God justifies is "a way apart from law" (Rom 3:21). This is the breakthrough that Luther had: if God was a God of justice as in distributive justice then that is bad news for us. Luther found however that God is a God of justice who justifies sinners. A "justice by faith". I am not denying the reality of distributive justice. This is seen in the themes of "wrath" and "judgment". After all, if there were not these things, why would we be forgiven for or justified from? I am simply saying that right here (and in lots of other places in the NT and OT there is a major theme of restorative justice which Luther rediscovered. In your post you seem to imply that faith was God's "plan B" and if we could have performed the law then there would be no need for faith. So before responding to that I wanted to ask if that was your intent? I have endeavored in my writing to do just this, just so you know and with time would be happy to share my thoughts with you. 2) how we see God - that is, how it effects our trust in God's goodness and love. Does our theory cause us to mistrust God? Does it set up a wall between us and God? In other words, to judge a theology we need to look at the fruits. In working with lots of people with damaged trust in God I have come across a great many who have been alienated by (perhaps a bad or sloppy version of) Penal Substitution, and it is for that reason that I began to examine it. You should know that Penal Substitution is a rather recent doctrine and that the early church for the first 1000 years had a very different atonement theory. This is the one I am embracing, so my aim is not to be unorthodox but rather to return to orthodoxy and Scripture. I do believe that there are some good elements of Penal Substitution that are biblical, and a whole lot of bad stuff. So I am trying to throw out the bathwater but not the baby. As far as your premises go, I can (with some caveats) agree with premise 1, and begin to disagree with premise 2 and forward, primarily disagreeing with your reading of Isa 53 as retributive and as a picture of justice. I think it is, objectively seen, a rather clear picture of injustice and how God turns human injustice into justice by bearing it. If you like I can go into more detail on this. What's your case for saying that the penal-atonement model was not adhered to before Anselm? What, in particular, would you say this first-millenium model of the atonement was? The same model that you're arguing for now, or something different? And what church fathers espoused this non-penal view? Just wondering, if you have the time and patience. You are not "trying my patience" :) I appreciate the dialog and your willingness to engage me despite our disagreements. I hope to follow your example in patience and thoughtfulness. The basic model of the early church is known as "Christus Victor" (it is sometimes "ransom theory" but this is actaully a subset of Christus Victor. Check out the book by the same title by Gustaf Aulen. He goes into a lot more historical detail on this then I could in a post. The Chrisus Victor view of the atonement was supported by all Greek Church Fathers from Irenaeus to John of Damascus (it is still the official doctrine of the Greek Orthodox Church). To mention only the most important names Origen, Athanasius, Basil the Great, Gregory of Nyssa, Gregory of Nazianzus, and John Chrysostom. The Christus Victor view was also dominant among the Latin Fathers of the Patristic period including Ambrose, Augustine, Leo the Great, Caesarius of Arles, Faustus of Rhegium, and Gregory the Great. You might recall Augustine's idea of a "mouse trap" for the devil. So I think there is quite a bit of historical evidence to back this up. The idea of "satisfaction" while it can be seen in some of the early church fathers (Tertulian for instance around the same time as he develope the idea of penance). The idea did not become dominant until Anslem around 1000 AD. Penal Substitution specifically was developed even later than that by Thomas Aquinas. "Aulen argued that the classic Christian conception of the work of Christ was summed up in the belief that the risen Christ had brought new possibilities of life to humainty through his victory over the powers of evil. In a brief and very compressed account of the history of theories of the atonement, Aulen argued that this highly dramatic 'classic' theory had dominated Christianity until the Middle Ages, when more abstract legal theories began to gain ground . . . Historically, Aulen's case was soon found to be wanting. its claims to be treated as the 'classic' theory of the atonement had been overstated. it was indeed an important component of the general patristic understanding of the nature and mode of procurance of salvation; nevertheless, if any theory could justly lay claim to the title of 'the classic theory of the atonement,' it would be the notion of redemption through unity with Christ." Alister McGrath, Historical Theology, 287. "Aulen argued that the classic Christian conception of the work of Christ was summed up in the belief that the risen Christ had brought new possibilities of life to humainty through his victory over the powers of evil.... [N]evertheless, if any theory could justly lay claim to the title of 'the classic theory of the atonement,' it would be the notion of redemption through unity with Christ." If any theory could justly lay claim to the title of 'the classic theory of the atonement,' it would be the notion of redemption through unity with Christ, i.e. the belief that the risen Christ had brought new possibilities of life to humanity through his victory over the powers of evil.